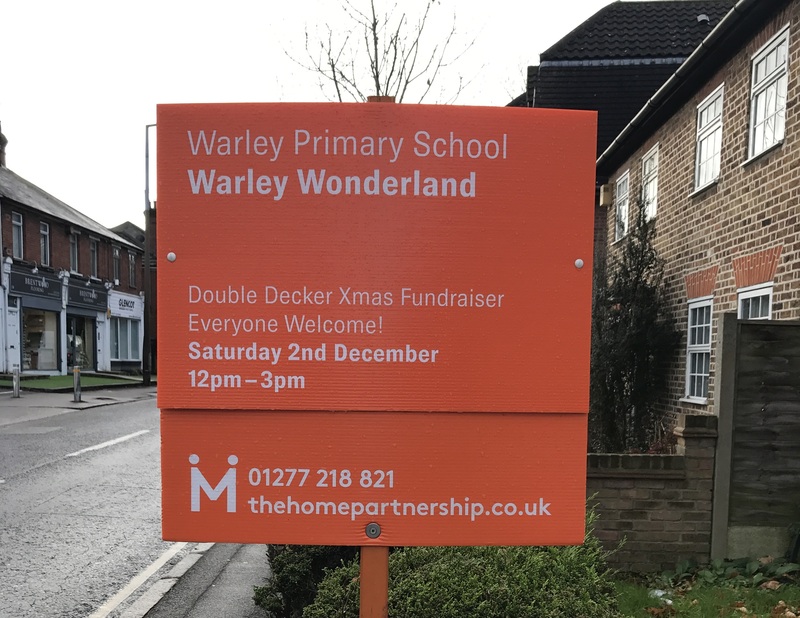 We are pleased to have once again been involved in supporting another Warley Primary School Event, this years Winter Wonderland! We have placed our bright boards up locally to advertise the event along with coverage on all of our social media. We really enjoy helping to promote local events and would love to hear from you if you know of any schools or charities that could do with our help in 2018. 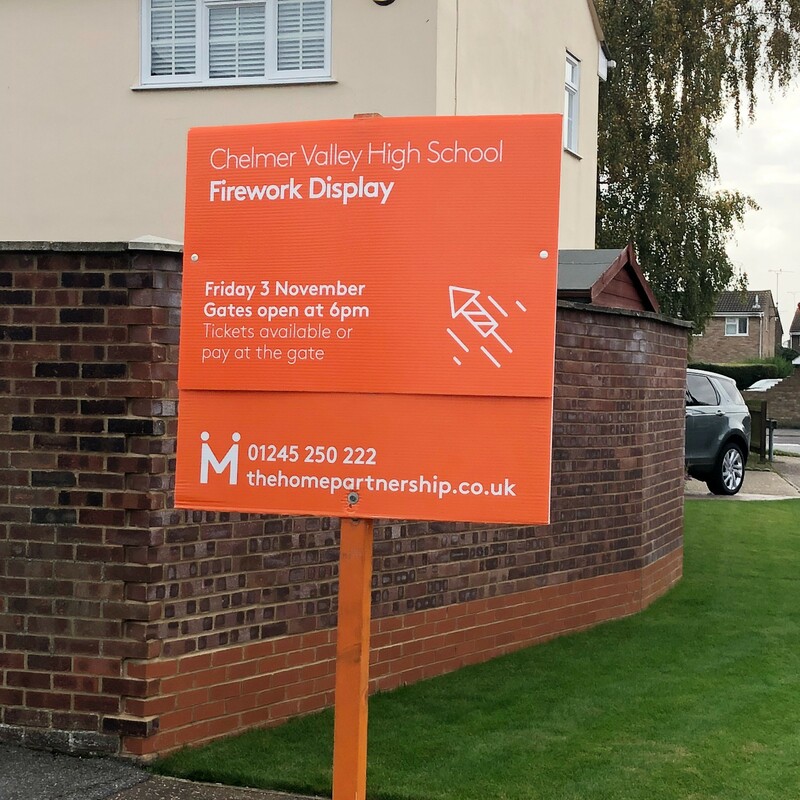 We are delighted to be sponsoring, Chelmer Valley High School's Firework Display. Which will take place Friday 3 November. We have tweaked our for sale signs to create enough room to promote the event, as well as emailing the event to our mailing list and posting on our social media pages, Facebook, Twitter & Instagram. If you have a local event in & around Brentwood or Chelmsford and you would like our support, please contact us! Keep an eye out for our boards. We are delighted to be sponsoring, 1st Warley Scouts Autumn Fair/FallFest, which will take place on 7th October 2017. We have changed our for sale signs to create enough room to promote the event, as well as emailing the event to our mailing list and posting on our social media pages, Facebook, Twitter & Instagram. If you have a local event in & around Brentwood or Chelmsford and you would like our support, please contact us! 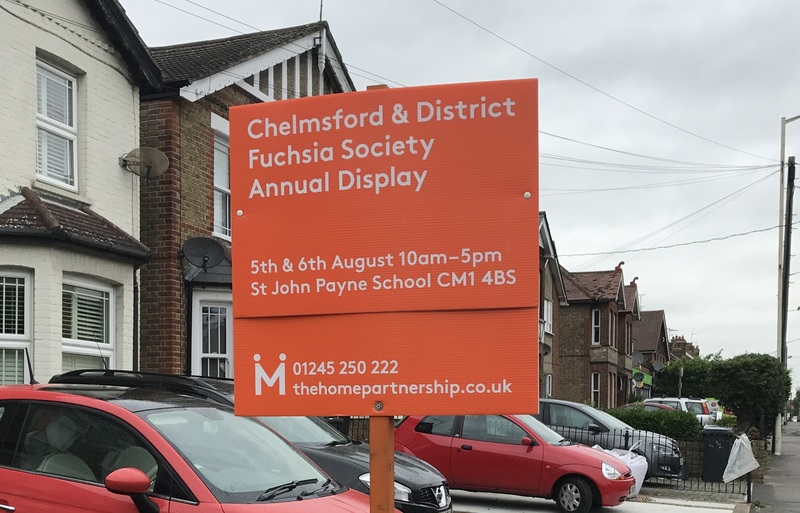 We were delighted to have sponsored, once again, the Chelmsford & District Fuchsia Display 2017. The event was held at St John Payne School, Chelmsford, CM1 4BS on Saturday 5th & Sunday 6th August between 10am - 5pm. ALL proceeds went to Columbus School & College for Special Needs Children. We are pleased it was another successful year. We are delighted to be sponsoring, Moulsham Junior School Family Fun Inflatable Day, which will take place on 15th July 2017. We are delighted to be sponsoring once again, the Broomfield Games & Fun Day, which will take place on 9th July 2017 at Broomfield Village Hall. We have tweaked our for sale signs to create enough room to promote the event. 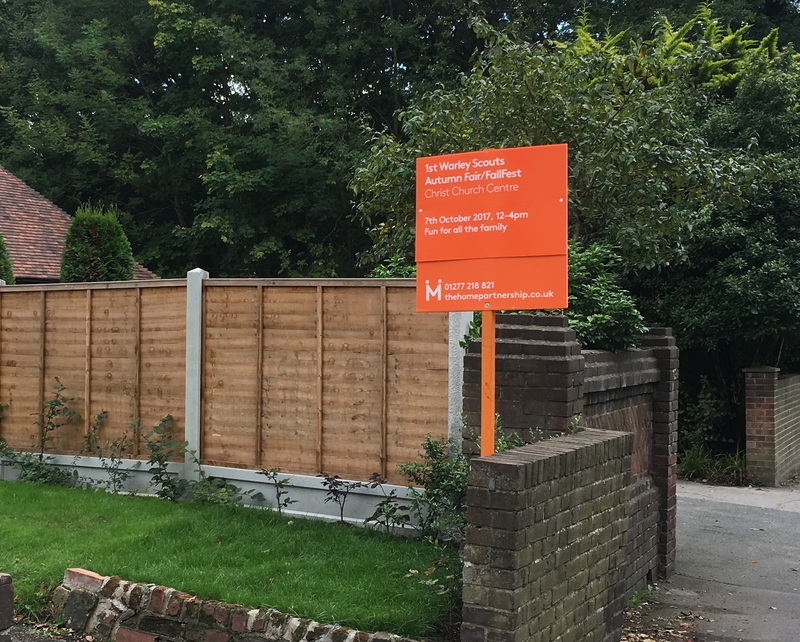 Keep your eyes peeled for our sponsor boards in and around Chelmsford, as well as posts on our social media pages.